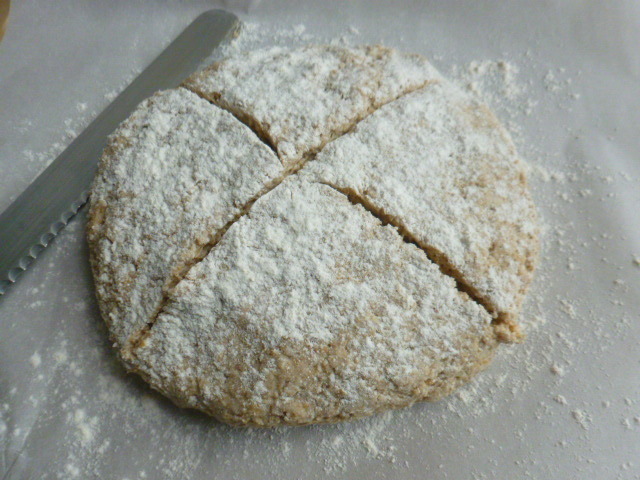 Unlike in traditional Irish soda bread, here I, once again, used different types of flour in the dough, in order to give it a more interesting texture and higher nutritional value. To that, I also added steel cut oats, that added another layer of texture and a wonderful, nutty flavor. A small amount of honey added a nice aroma to the bread, which turned out so chewy and tasty. Try it and enjoy. * Steel cut oats are oats grains that have been chopped rather than rolled. 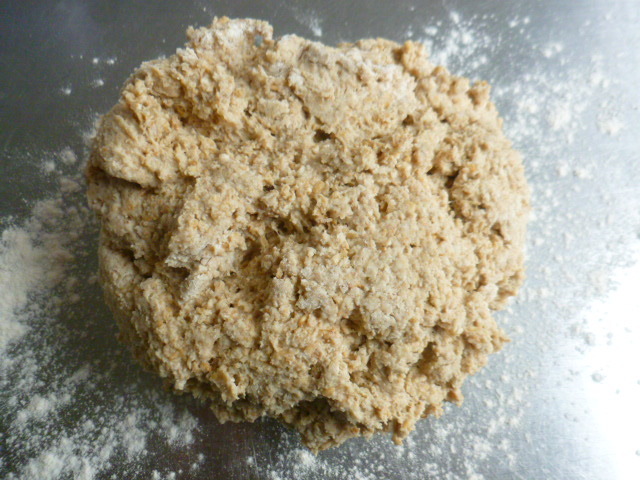 They don’t cook as quickly as rolled oats, and that is why they need to be softened prior to adding to the dough. Don’t skip the step of soaking them. 1. 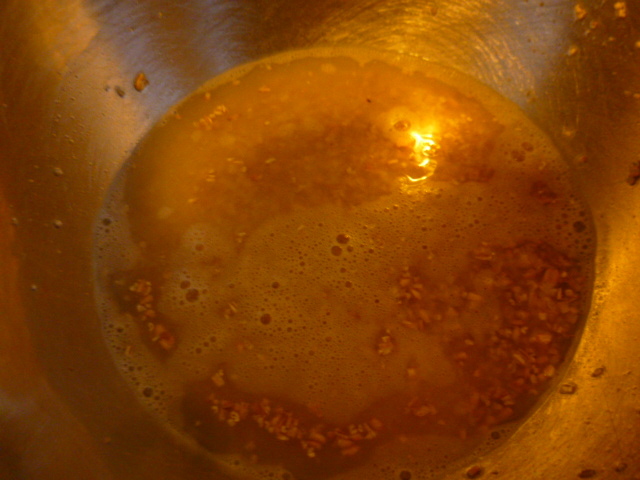 Place the steel cut oats in a bowl, add the boiling water and mix. Cover with plastic wrap and let sit for 30 minutes, until the oats soften and the water absorbed. 2. Preheat the oven to 360F (180C). Line a baking sheet pan with baking paper. 3. In a large bowl, mix the rye, white and spelt flour, with the salt, sugar, baking soda and baking powder. 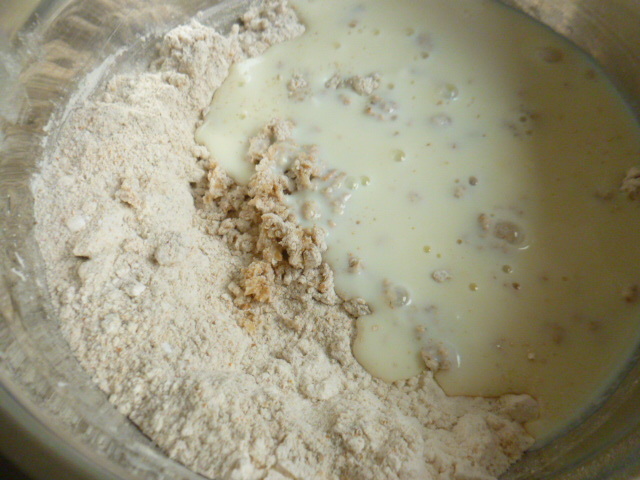 Add the buttermilk, honey and soaked steel cut oats, and knead briefly. 4. 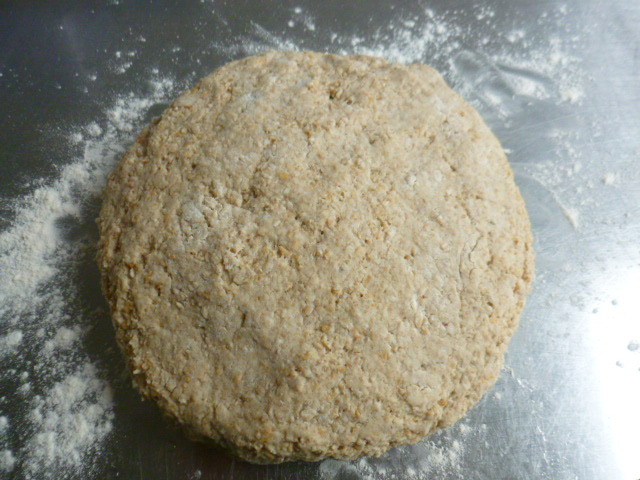 Shape the dough to a thick wide disc, about 10” (25cm). 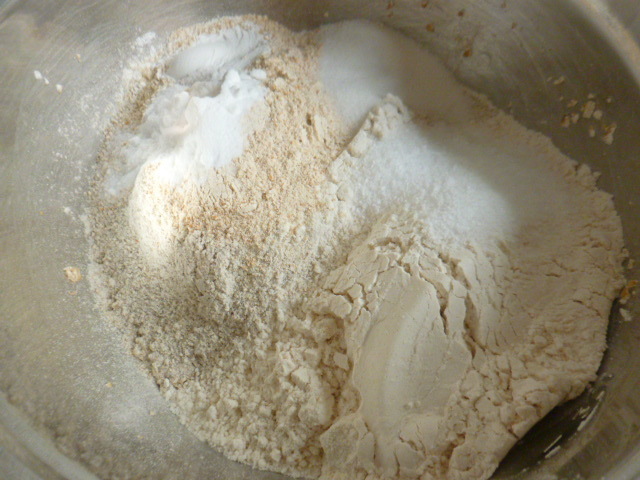 Dust with white flour and make a fairly deep X cut over the top with a serrated knife. 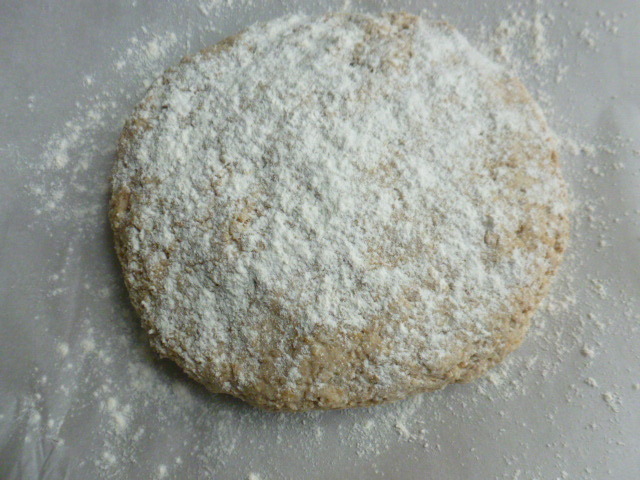 Lightly dust the baking paper with flour and place the disc over it. 5. Bake for 35-40 minutes, or until the bread is puffed and golden, and a toothpick inserted into the center turns out clean. Let cool in the pan for 10 minutes before transferring to a rack, to cool to room temperature. 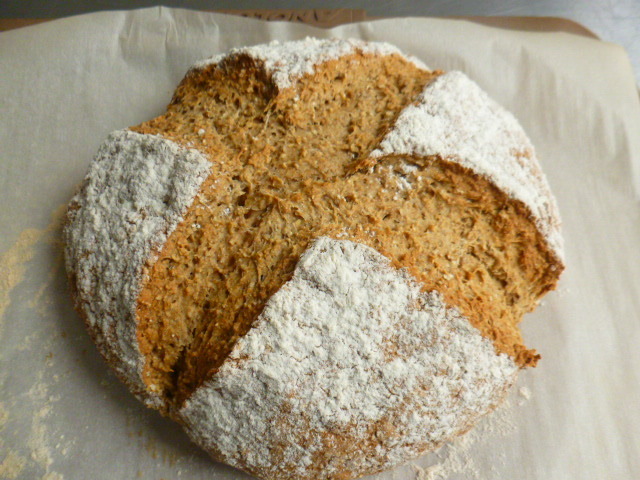 What a fabulous bread, I love Soda bread but especially the oats you put in it. I have to give this one a go as well. Have been meaning to make soda bread for years, but . . . This gives me some incentive!!! It’s a dreary day today; perfect for an experiment! A pretty loaf of bread and I too like the addition of the steel-cut oats. A healthier version for sure and just in time for St. Patrick’s Day. 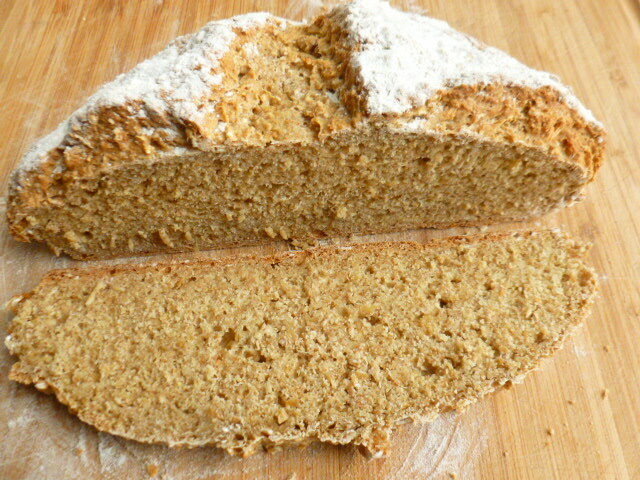 I love soda bread. This one sounds delicious. Can’t wait to try it. , and much healthier than the traditional one – thank you, Ronit! Did not think anyone could make me interested in trying to bake a loaf of bread ! Altho’ from Down Under was North European born and gutsy dense breads with healthy colour were all that was handed out when I was knee-high :) ! Oats, rye and spelt with buttermilk and without yeast . . . first opportunity I’ll get and ‘thank you’ ! Wow, this looks beautiful. I love to take multigrain bread, but never baked one at home. Thanks much for the inspiration! 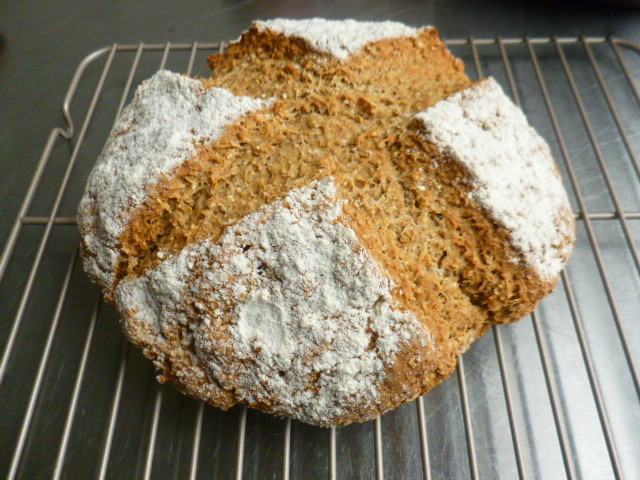 Soda bread, Yum. 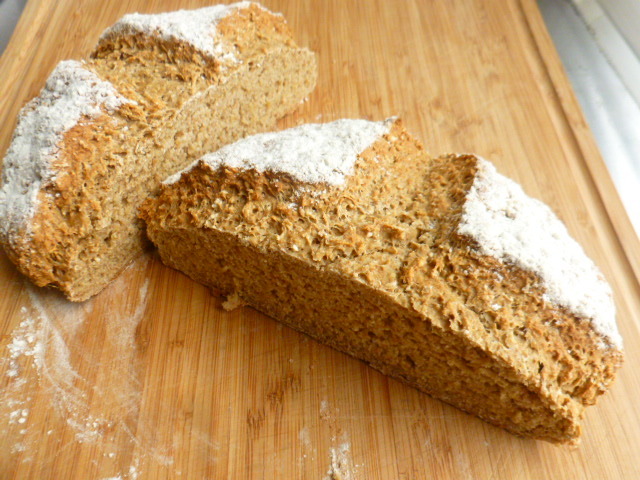 I love making soda bread, but this is a different and better-looking recipe than the one I usually bake. The steel cut oats sound like they would be great in your bread. Thanks for sharing. 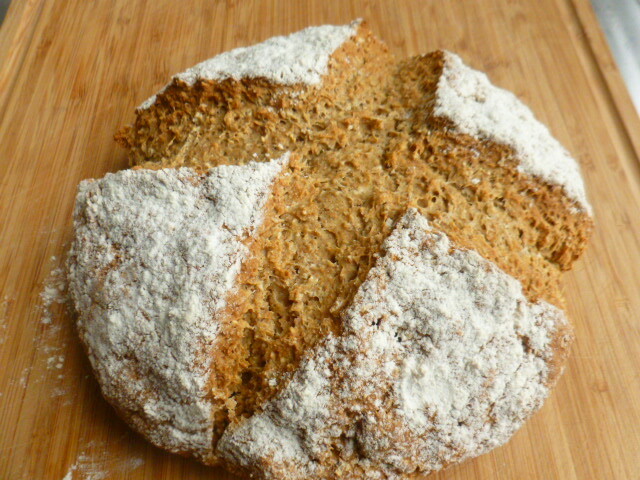 Baking an Irish Soda Bread is on my cards since long. I love the choice of flours used here. Beautiful. And you’re right – you don’t have to wait on yeast! I love your flours that you used. When I used to bake so many breads all of the time I would soak my oats or other grains that were flaked overnight. I remember so long ago learning how much grains will keep absorbing with time! Thank you Mimi, I’m glad you liked the recipe. 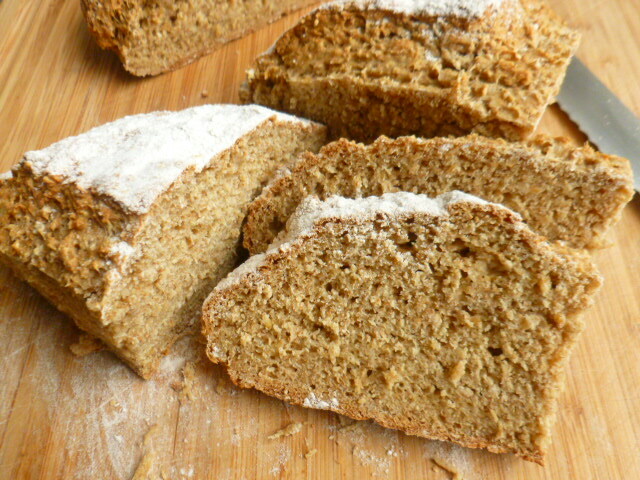 This mix of different types of flour and steel cut oats made for a wonderful, chewy bread. I already made it twice, as it freezes quite well. 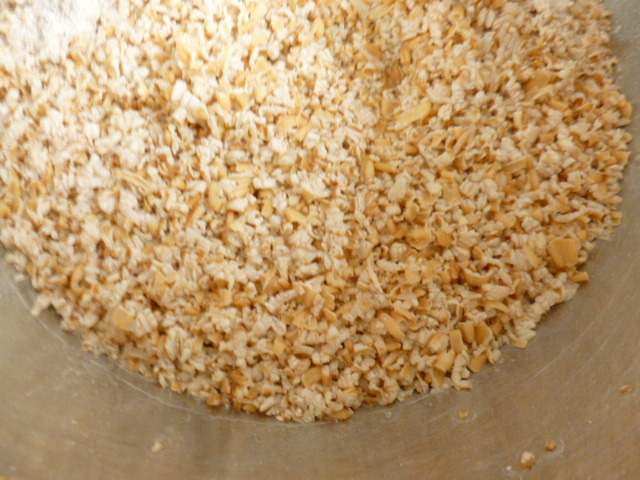 Soaking the grains overnight definitely makes it easier when baking large quantities. Beautiful! I bet the oat and honey addition give it a terrific baking fragrance! A fabulous share. Not difficult at all. Thanks.